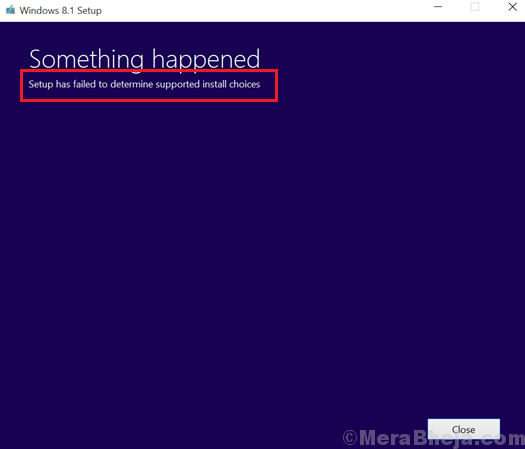 Setup has failed to determine supported install choices. When you try to upgrade or downgrade the operating system using the inbuilt mechanism, the operating system tries to keep the options intact. In this case, compatibility issues prevent the process. Another point to be noted is that some systems would not allow users to downgrade beyond Windows 8. Thus, Windows 7 or lesser operating systems cannot be installed as the hardware won’t support it. While we could use a bootable disk for installing the new image, it would be a better idea to run the Windows update assistant (which is being used to downgrade the OS in this case) in compatibility mode. 1] Right-click on the Setup file and select Properties. 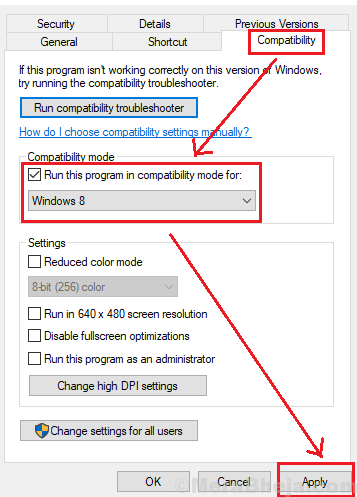 2] In the Compatibility tab, check the box corresponding to “Run this program in compatibility mode for” and select the operating system you intend to install from the drop-down menu. 3] Also check the box corresponding to Run this program as an administrator. Now run the module to downgrade the operating system. 1] Extract the Windows image file to a suitable location on your system. 2] Go to Sources > Setup.exe. 3] Run the Setup file as an administrator (right-click >> Run as administrator). Use the image from Microsoft’s website and make a bootable media disk out of it. Use it to reinstall the new image and it should work.